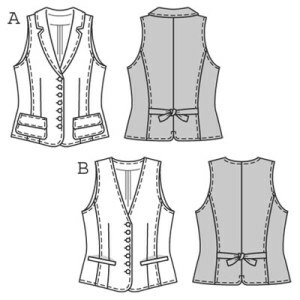 This season’s absolute fashion favourite is a waistcoat/vest shaped by darts and section seams. It can be worn directly on your skin but also looks attractive over shirts, blouses and tops. It can be made with collar and patch pockets or with V-neck and welted pockets.